A broken rail just east of the Mineola LIRR station affected 60,000 morning commuters Wednesday with dozens of delayed and cancelled trains, officials said. Compounding the rush-hour chaos that began with the broken rail about 5:55 a.m. was a 9 a.m. strike of an oversize truck into the Long Island Rail Road bridge at Nassau Boulevard and Merillon Avenue, suspending rail traffic there for a half-hour, a spokesman said. Some 65 trains in both directions were delayed an average of 32 minutes on the Main Line after a rail broke east of the Mineola station about 5:55 a.m. There is only one track there in each direction, the railroad said. “The repairs were completed at 11:15 and, at about 12:15 p.m., train service had been restored,” LIRR spokesman Aaron Donovan said. Donovan said the service disruptions were the latest testament to the importance of building a third track on the Main Line, Donovan said. The LIRR and Gov. Andrew M. Cuomo have proposed such a project, which would add a 9.8-mile track between Floral Park and Hicksville within the LIRR’s existing property. “I can’t stress enough how this morning’s commute would be eased if we had a third track in place,” Donovan said. Donovan likened Wednesday’s broken rail and subsequent delays to a traffic jam that’s caused by a car breaking down on one lane of a two-lane highway. Adding to Wednesday’s delays in Mineola was the inspection of the LIRR bridge after the truck strike. About 9 a.m., the truck struck the bridge, and trains were ordered to travel at a slower speed as a precaution, Donovan said. Eastbound service on the Port Jefferson, Ronkonkoma and Oyster Bay branches had been suspended for about a half-hour beginning about 10 a.m. Later Wednesday, trains were able to resume normal speeds. The LIRR said it had canceled about 10 trains Wednesday. Project officials have said construction could begin on a third track `as early as 2017 and last three to four years. Officials have estimated the cost at between $1 billion and $1.5 billion. The best line was Far Rockaway at 97.1 percent. The worst was Port Jefferson at 90 percent. June 21. An electrical problem in one of the East River tunnels causes widespread delays and cancellations during the evening rush hour, suspension of service into Penn Station, and the temporary closure of Penn Station. June 28. A truck hits an LIRR overpass in Woodside, causing widespread delays and cancellations during the evening rush hour, and the temporary closure of Penn Station. July 18. A work train derails near Woodside, resulting in widespread delays, cancellations and train diversions during the morning rush hour. July 19. The LIRR suspends service systemwide during the evening rush after a train strikes a person on the tracks near Queens Village. July 25. A heavy thunderstorm causes widespread service disruptions during the evening rush, including the suspension of the West Hempstead line and all service into and out of Penn Station. July 27. A drunken motorist drives onto the tracks in Westbury during the early morning, sparking a third rail fire that shut down parts of the Ronkonkoma and Port Jefferson lines for much of the day. Aug. 9. 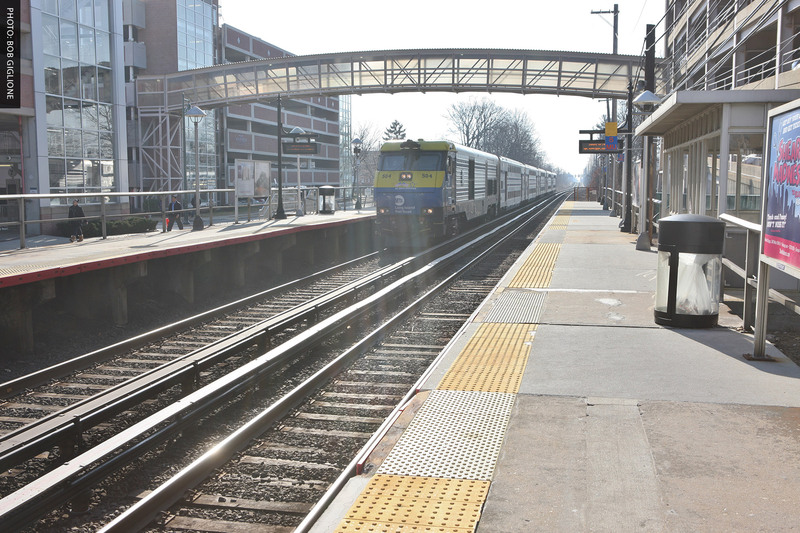 A signal problem near Central Islip causes service to be suspended between Brentwood and Ronkonkoma during the evening rush, forcing some Ronkonkoma commuters to board buses to get to their stations. Aug. 15. A train strikes a man on the tracks near Westbury, causing major delays and cancellations on the Port Jefferson and Ronkonkoma branches during the evening rush. Aug. 17. A train strikes a man on the tracks at Mineola during the morning rush, causing service to be suspended on the Oyster Bay, Ronkonkoma and Port Jefferson lines and delays of up to two hours. Sept. 2. An eastbound train strikes and kills a man in Brentwood, prompting temporary disruption of evening service in both directions on the Main Line between Hicksville and Ronkonkoma.